Every company wants their website to be on the first page of a Google search. This is also what makes it so difficult to get on that first page. Research has shown that the vast majority of internet traffic goes to the websites that make it on the first page of a Google search. The amount of internet traffic that goes to sites on subsequent pages decreases drastically with each page. You may have done all the research and your website may be amazing, but it still isn’t ranking. If your website doesn’t rank, it won’t matter how amazing it looks; it still won’t get you any customers. Here are just a few of the reasons that your website may not be ranking. SEO will almost certainly test your patience. Not only does it take time to make the necessary changes to optimize your website, but it will then take Google time to notice those changes compare your page to the other ranked pages, position your page, then reevaluate over time and reposition you as an ongoing process. A website won’t rank immediately after posting. Google accounts for over 200 ranking factors, so it takes time for Google to gauge the factors that will cause your website to rank. On average, it can take 3 or more months to rank in a competitive keyword. Quality content is necessary for your site to rank. 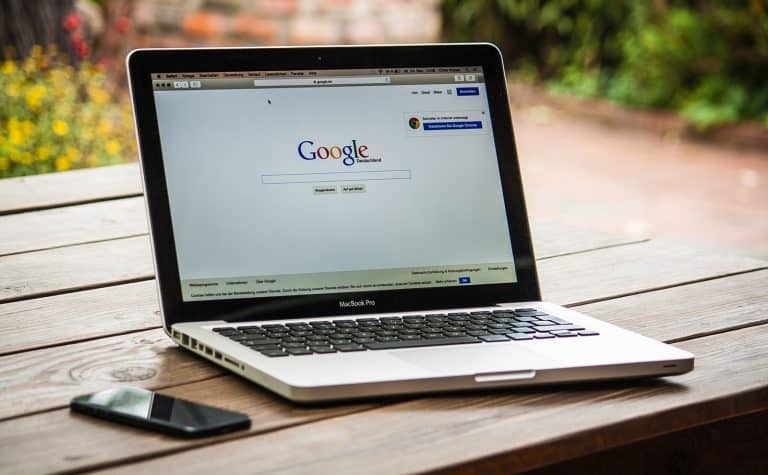 Grammatical and spelling errors will count against your website’s rankings, because Google won’t consider it to be a credible source for consumers. It is important to proofread your content carefully and make sure that it doesn’t contain any spelling or grammatical mistakes. Within this, it is also a reason why older SEO methods no longer work. If the page doesn’t read naturally for a human user, then it is less likely Google will rank your page high. Old methods which eliminated words such as “and, in, the” between words helped then but now can drop your ranks. Always write your content with the user in mind. Basic SEO techniques may be sufficient for some websites to rank for specific keywords. However, if your company is in a particularly competitive niche, it will certainly be harder for your site to rank. It is likely that your competitors have already made all of those changes to their site. Competitive areas will require vigilance to rank, because the competition will also be consistently trying to rank, they will have backlinks and social factors already in place and you will have to top that. Though your SEO will be doing much of this to get the ball rolling, time and the amount of other websites picking up and linking naturally will aid drastically in kicking up your ranks. This is another reason it often takes months to rank is the SEO get’s the page going, the user base helps build it larger. Keyword stuffing is never the right decision. The content should certainly contain the keyword to ensure that Google knows what the content is about and will provide it to the relevant audience. However, inserting the keyword where it doesn’t make sense just to make it appear more frequently will just work against your website’s rankings. Google will recognize that the keyword is being placed simply for ranking purposes and will not credit the page with having high-quality, informative content. If you are wondering if your article has keyword stuffing, you can run it through https://wordcounter.net/ to get keyword densities. A reactive website is becoming increasingly necessary for a webpage to rank. Many users do Google searches from their phones. Not only will a website that is not mobile-friendly lose out on that business, but Google will also rank them lower in searches. Having a mobile-friendly website is necessary for following Google ranking factors. Here are just a few more Google ranking factors that can contribute to how your website ranks. 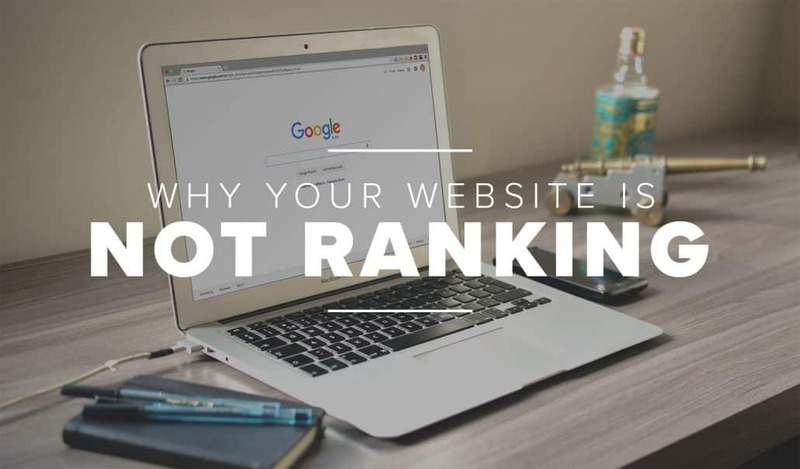 Though the above factors are mistakes that may be preventing your website from ranking, these factors can be implemented to help your website rank higher in Google searches. All content on your website must be original and unique. Duplicate content will cause Google to penalize your website. This may even occur if another site copies your content, so it is important to monitor your website and its rankings frequently. Not only must all of your content be created specifically for your website, but you must also refrain from using the same content across multiple pages of your website. High Bounce Rate It is important to ensure that your website gives your customers what they are searching for. If your website fails to do so, they’ll click away from your site and increase its bounce rate. There are many ways to ensure that your website fits the customers’ needs. You must use relevant keywords that will guide customers to your site. You must also use an informative, accurate meta-description. Never lie in the meta-description about what your website is about. This may get you more overall clicks, but it will give you just as many consumers clicking away from your site, which will cause you to rank lower. As previously mentioned, the website’s content must be high-quality. Additionally, it must be a sufficient length. Contrary to popular belief, internet users do not have a short attention span. In most cases, they would prefer for an article to be longer and more in-depth so that they can gather all of the necessary information in a single location rather than spend time on additional research. The length of the content will directly affect how the page ranks in Google searches. It used to be that 300 word pages where created in the masses to help get a ton of pages on the site. Though larger websites do help with ranking, it only helps if the pages are of quality content. On average, aim for at least 1,000 and if you can get up around 1,800, even better. Though user interaction seems to start to taper off after 2,000 words. The loading speed of your website is important when Google determines how to rank your site. No one wants to stare at a blank screen, so if your website takes too long to load, users will click away. This will result in Google ranking your website lower than a faster website. There is a difference from user-perceived loading speed and the metrics that Google uses to determine page speed. 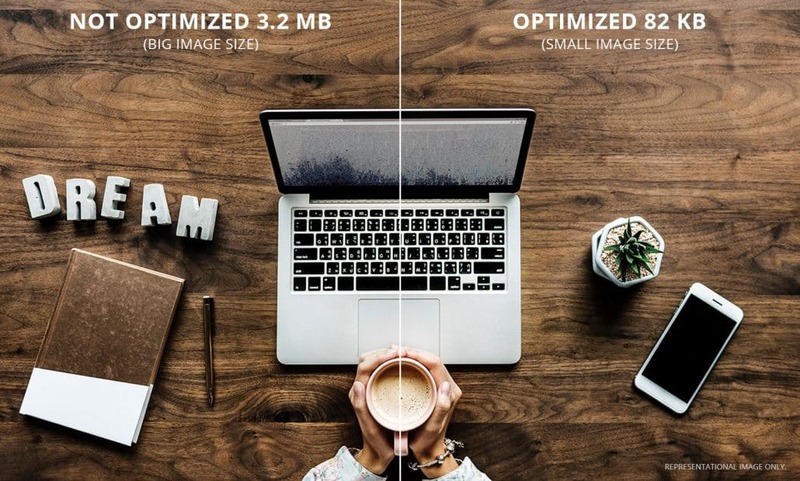 Though it is important to optimize the content of a website, image optimization will also affect where your website ranks. To optimize your images, you will want to use compression software to help get the smallest image size possible. You can use Imagify, ShortPixel, TinyJPG or many others. The smaller the image size, the faster your website will load which can influence ranks. It is important to add alt tags to all of the images and ensure that they are optimized for both speed and search. The alt tags will tell Google what the image is about. Be specific on what the image is and also make sure you get a keyword in there. You can also further optimize the image by making sure the file name contains a keyword as well. Consumers tend to gravitate toward multimedia content, such as videos or images. Google will take this into consideration and will gauge the multimedia content of your webpage when it determines where that page will rank. These are a few Google ranking factors. There are many other factors that Google takes into consideration when ranking websites. It is important to remember that a site isn’t going to rank immediately after being posted. It will take time for Google to index a new site or respond to changes in an old site. SEO takes a tremendous amount of patience, but it is absolutely worth it for your business. Helping your site to rank higher in Google searches will help you obtain more business. If you are having problems getting your site to rank, you may want to consult a professional service. SEO can be difficult and time-consuming, but it can be necessary to help your business get customers. Though there are a lot of ranking factors you can take into consideration, and it’s good practice to hit as many as possible, it’s important not to obsess over them. When working on your website and content, the best practice is think of the user first. If you do that, you will naturally hit many of these ranking factors without even trying. Consider this, if your navigation makes sense to your users, it will likely make sense to Amazon. If the content is relevant to the users, you will more than likely rank on Google. SEO is to further hit these ranking factors so there is a higher likelihood of showing up for the keywords you want vs. just naturally ranking for some that you might not be targeting. 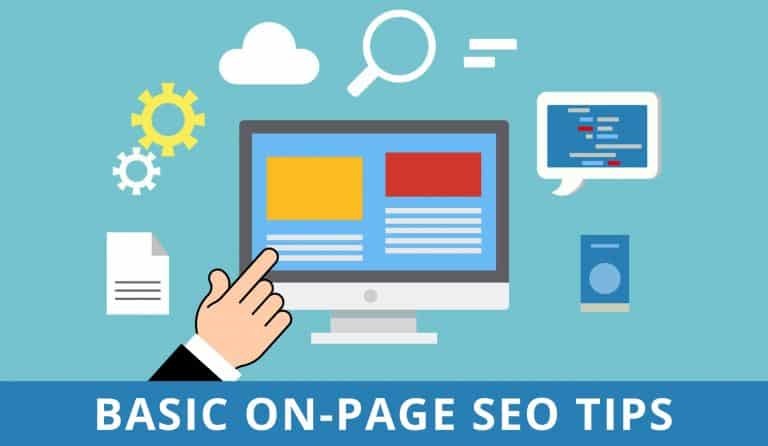 When you hire an SEO agency to take care of these for you, it allows you to put time into scaling your business instead of optimizing a website and allow them to do all these tasks which can take days, weeks, or even months to complete. However, also know, if you have time, you can save a significant amount of money by learning how to handle these features yourself and implementing them. 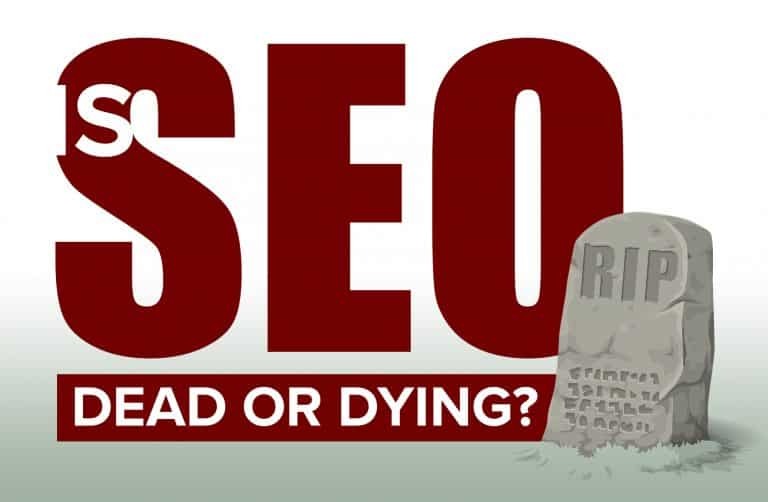 The future of SEO doesn’t like in keywords, it lies in the interaction of users. As clique as it is, build it, and they will come. Do you have a question about SEO? What about a ranking factor that wasn’t covered in this article? Leave a comment and we will answer it!